Many of you make Fire Safety your top priority on the job and at the station, but are you making sure it's your top priority at home, too? Fire Safety in the home is so important because according to NFPA.org, seven people die a day in home-related fires. So let's make sure to have your home and family protected against the unforeseen, and we can help! All of our products on our site, HomeSafetyStore.com are for everyday people who want to make their home and workplace a safer place to be. The products below will surely help you defend against fire where ever you may need it. Having a Fire Extinguisher handy, especially near your kitchen not only gives you great peace of mind, but if used correctly could save your life! Choose from an array of sizes and find the correct mount for easily storing in a safe and secure location. No if, ands, or but's about it---Smoke Alarms are a no brainer in making sure the safety of your home is up to par! With so many great ones to choose from on our site, you can be sure that everyone in your home will hear the alarm in case of an emergency. 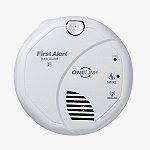 Don't forget, a smoke alarm is only as good as the batteries in it--so make sure to keep them in stock and handy, too. When dealing with second, third, & fourth story living situations, you have to make sure you have an escape planned in the event of a scary situation. Thankfully, with the help of Emergency Escape Ladders you can have that peace of mind that you can exit a higher level floor in case other exits are blocked. Check out the details of the Escape Ladders, here. Find out more ways to Defend against Fire, right here on HomeSafetyStore.